Welcome to Hostal Campestre Casa Blanca. We are located in Ichu, just 15 minutes driving by car from Puno City, passing the Customs, near to the Ichu police station. We offer comfortable accommodation services, with beautiful views, a few meters from Titicaca Lake, ideal for nature lovers. Rooms with private bathroom, Hot shower, Free WIFI, Television, Free Parking. 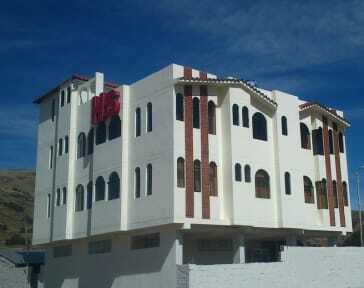 We are located to 15 minutes from Puno City, near to San Pedro faucet. (Km 13 of Panamericana Sur, Puno-Desaguadero road). Our hostel is located in front of Lake Titicaca and around there are beautiful landscapes, hills, trees, meadows, animals, tourist attractions , and more. Double 1 matrimonial bed with private bathroom (2 people). Double 2 individual beds with private bathroom (2 people). Double 2 matrimonial bed with private bathroom (4 people). Wifi in all the hostel.